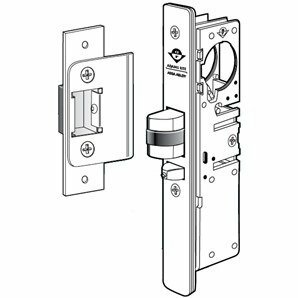 Adams Rite 4510-46-102-628 Standard Duty Deadlatch with 1-1/2'' Backset and Flat Faceplate. RH or LHR with a 2-5/8'' Strike. 628 Clear Anodized Finish. Standard Package: Individually boxed with strike, and machine screws for mounting. Cylinders, paddles, and handles available separately.